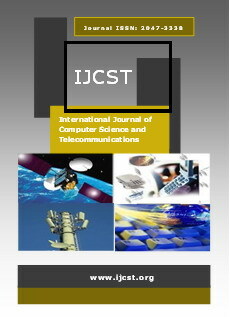 Abstract - Advance research shows that the resources allocated to radio channels, remains underused for explicit time span. With the rapid growth in the advancement of technology, demand of spectrum is increasing day by day. 4G LTE-Advanced, using MIMO and OFDMA techniques, is being capable of providing high data rate and minimum delay, but for the better efficiency and usage of wasted spectrum, Cognitive Radio (CR) is novel technology for spectrum regulation and management. Moreover, recognition of simultaneous transmission region is the serious issue. In this paper, we find out proportions of the simultaneous transmission region where a CR user will make an ad-hoc connection in the presence of infrastructure based network. Using location awareness, CR devices are capable of making spectrum fully efficient in terms of usage. Hence, efficiency of the spectrum can be improved. Using Carrier Sense Multiple Access with Collision Avoidance (CSMA/CA) Medium Access Control (MAC) protocol, we computed concurrent transmission probabilities for both uplink and downlink cases with throughput performance from Physical/MAC (PHY/MAC) layer prospective. Abstract - Optical Character Recognition (OCR) is a widely used and emerging method in various applications.OCR deals with the concepts in pattern recognition, artificial intelligence and computervision.OCR is the technique of converting images of handwritten or printed text into user understandable format. Accuracy of OCR is based on constraints namely, text pre-processing and segmentation algorithms. Sometimes it becomes hard to recognize characters from the image due to presence of light and dark text or due to varying size, style, orientation, complex foundation of picture and so on. In this paper, OCR techniques are been used for the recognition of vehicle number from vehicle number plate. The retrieved OCR data is then used as a web service hence reducing human work and computerizes the system. This paper explains the Tesseract integration procedure, post-processing techniques and focuses on the training data preparation process. A large number of images are taken as input files and experimental consequence of OCR performed by Tesseract on these pictures are discussed. The results obtained are compared with other commercial OCR tool, Transym OCR and analysed using different parameters. Abstract - A 3G LTE (long term evolution) has been defined by 3GPP, known as super 3G (S3G) network. This evolution enables the operators to transfer IP-based mobile broadband services at much higher speed. This project introduces some enhancements in S3G technology known as (S3G-E) and then its scheduling algorithms are proposed and investigated in multiuser OFDM environment. This work is intended to design a S3G-E scheduler with service differentiation as a frame of reference. A two layered scheduler is proposed. The first layer sorts the different FC-IND based on their policy profiles (committed rate, peak rate), the second layer makes a decision to choose which user to be served in a given slot. This work is practically investigated under traffic models involving file transfer, video streaming, web browsing and Voice over IP (VoIP) traffic models. Abstract - Nowadays the computer security is important in our society. Because of the wide use of computer networks and its application, it becomes imperative to detect the network attacks to protect the information security; therefore, anyone using a computer is at some risk of intrusion, even if he is not connected to the Internet or any other network. If the computer is left unattended, any person can attempt to access and misuse the system. The problem is, however, greater if the computer is connected to a network, especially the Internet. Any user from any place in the world can reach the computer remotely and may attempt to access private information. Solving the problem of attack detection using intrusion detection against computer networks is being a major problem in the area of network security. The intrusion detection system meets some challenges, and there are different approaches to deal with these challenges, neural network and machine learning is the best approaches to deal with it. In this paper, we illustrate different approaches of Intrusion detection system using neural network in briefly, and their advantages and disadvantages. Abstract - In present era, the use of smart phones becoming more and more popular due to the advancement of technology and improved services. People use smart phones not only for calls and instant messages but also perform social networking and business transactions. However security and safety of data is always challenging if device is misplaced, lost, stolen or fell into the custody of an adversary. Although data transmission is mostly secured through encryption but all data cannot be encrypted due to efficiency issues. In any case, on numerous gadgets the simple deletion process misdirects client into believing that record have been erased, while that is typically not the situation. Secondly deleted data can also be retrieved using different techniques. Today the majority of these devices use flash storage type to store data, also known as NAND flash memory, due to its optimization. In this research work, we study and analyze currently work done towards secure erasing of data and discuss some remote wiping features that are being introduced in modern devices. Further it provides mechanism to delete critical data, on particular type of storage in android devices, which can ensure that once deleted data can never be able to retrieve by an adversary.